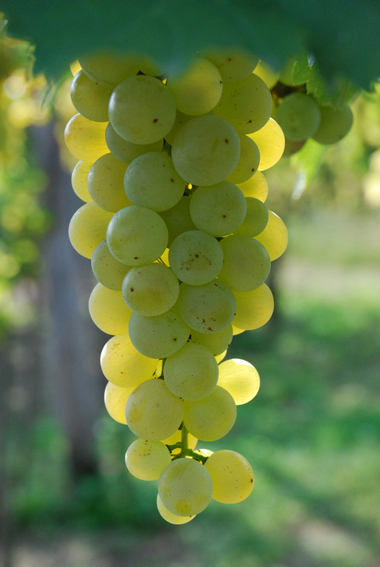 J stands for Juhfark, an ancient Hungarian white grape variety. It is pronounced as ewe-farq or [jufa:rk] if transcribed in the International Phonetic Alphabet. It is grown on some 100 hectares only and it is Appellation Somló where the majority of it can be found. The bunches are elongated, tightly packed with berries and with the tip curled back a bit. J is prone to mildew, so it needs much attention to prevent the disease cropping up. This variety has a fairly neutral flavour profile and enjoys calcareous and volcanic soils, which makes it well suited to convey a sense of provenance. It produces a wine which is often described as fiery in nature, rich in minerals and fresh in acids. It is a wine that ages well.